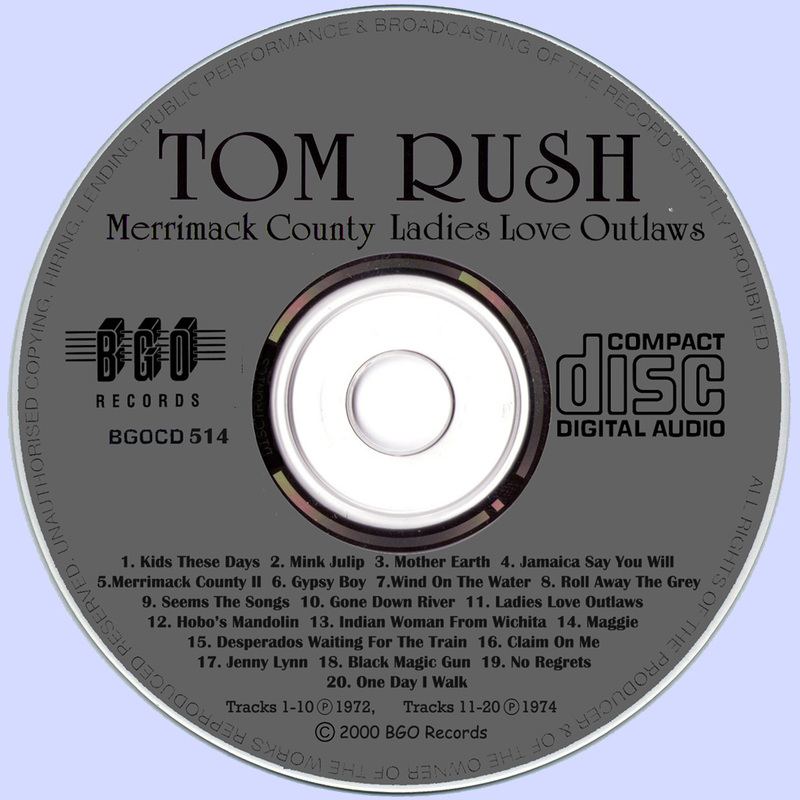 Named after the county where he resided, Merrimack County is also the first Tom Rush album which didn't show any ground gained. It is still a fine effort. 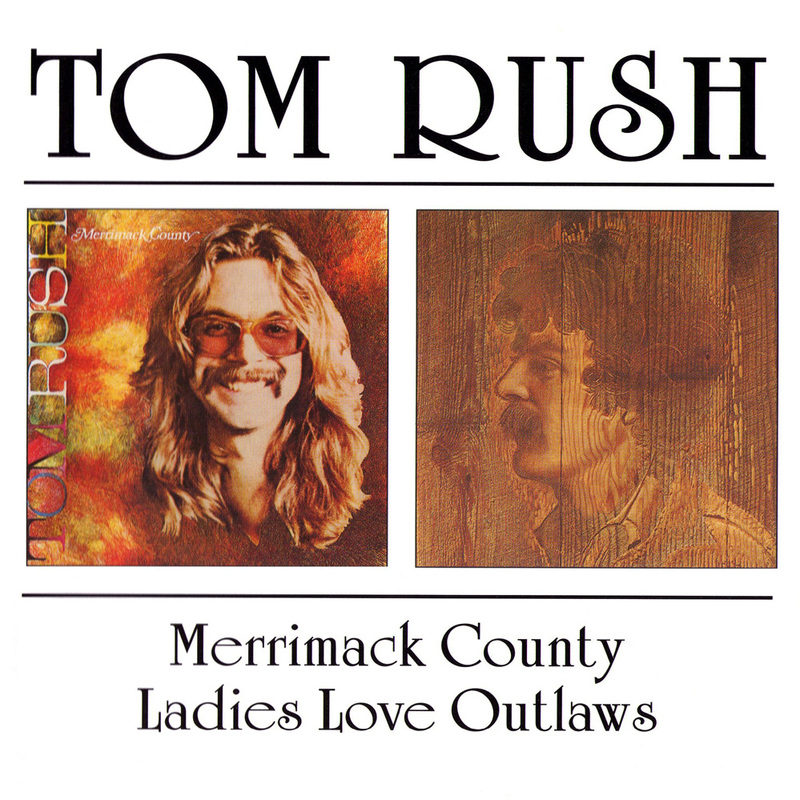 Perhaps by including mainly originals instead of interpretations of others' tunes, Merrimack County is a bit of a letdown. A minor effort from a major star. 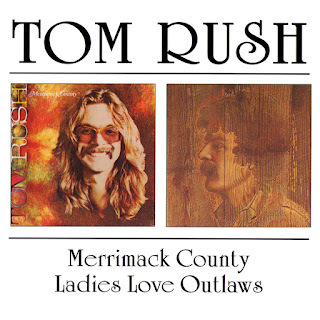 Tom Rush's main strength, Ladies Love Outlaws plunges the listener full-tilt into the country-rock sound which so many were finding in the mid-'70s. Included here are Guy Clark's "Desperados Waiting for a Train," Lee Clayton's title track, and a stunning redo of Rush's own "No Regrets" helped along by the likes of the Eagles and Carly Simon on backup. But the best is saved for last, where Rush covers Bruce Cockburn's "One Day I Walk," showing that he hadn't lost his touch. A bit rough in places, but well done for the most part.